Singapore is no Mount Everest, but there used to be more hills than we see today; many having been levelled as Singapore has developed, with the earth moved and used in Singapore's ongoing land reclamation. Chinatown in particular used to be quite hilly back in the day, comprised of a handful of hillocks as well as flatter areas called "plains," low-lying expanses near the coast that stretched to the sea. We will start our journey at Keong Saik Road (a former Red Light District) and then stroll to Bukit Pasoh Road, which once known as Mistress Street. Well-known nowadays as a culinary destination for its great restaurants, we'll show you its fascinating heritage side — from traditional clan associations to Chinese and Hindu temples. We will explore the rich tapestry of Duxton Plain and take a lift up to the 50th floor viewing deck of “The Pinnacle” complex — the pride of Singapore’s public housing — for a bird eye's view of the area and great photo opps. the Blair Plain, a conservation area gazetted in 1991. 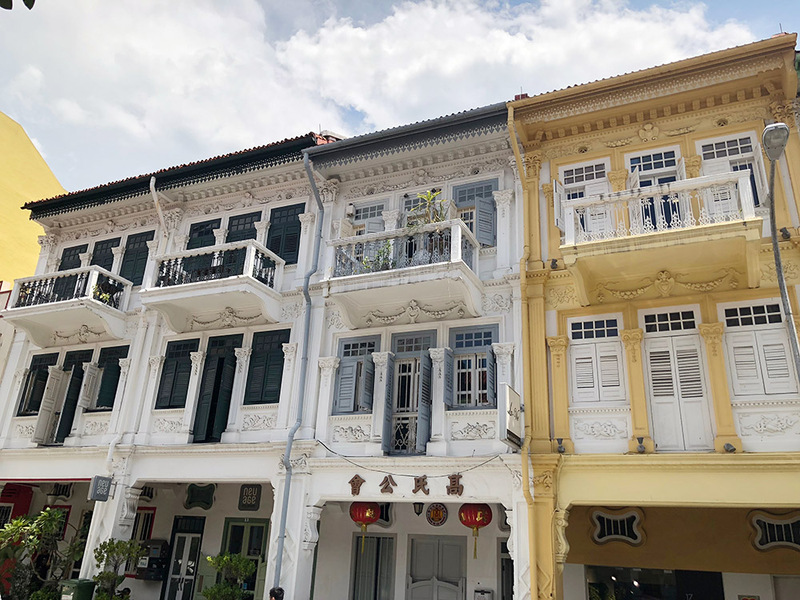 Instead of luxurious meadows, you will find a beautiful pastel sea of predominantly Peranakan shophouses built in early 20th century for wealthy merchants escaping the overcrowded and unsanitary conditions of nearby Chinatown.